WASHINGTON (May 10, 2016) -- Soldiers jogging or lifting in the gym may now be allowed to listen to music through small headphones or ear buds, according to Army Directive 2016-20, released May 6. Acting Secretary of the Army Patrick J. Murphy signed a memo that authorizes Soldiers to listen to music on a variety of devices and ear pieces while doing personal physical training inside gyms, though the memo does give final word on the new policy to installation or unit commanders. A new Army Directive, released May 6, 2016, allows Soldiers to wear headphones or earbuds while in fitness centers or gyms. "Effective immediately, unless the unit or installation commander prohibits otherwise, Soldiers may use headphones, including wireless or non-wireless devices and earpieces, in uniform only while performing individual physical training in indoor gyms or fitness centers," Murphy wrote in the memo. The headphones cannot be more than 1.5 inches in diameter and the memo states violators may be subject to administrative or disciplinary action under the Uniform Code of Military Justice. To push music through "conservative and discrete" earpieces, Soldiers are also permitted to "wear electronic devices, such as music players or cell phones" on their waistband, in accordance with AR 670-1. That regulation says the color of the carrying case for such a device must be black. The directive also permits Soldiers to wear a "solid black armband" to hold their electronic device, but only while in the gym or fitness center. When Soldiers leave the gym or fitness center, however, the arm bands, the music devices and the headphones must be put away. Sgt. Maj. of the Army Daniel A. Dailey said the new policy is something Soldiers have told him they wanted for a while. "This change came about because Soldiers stood up at one of my town halls and asked about it," Dailey said. "If we can make changes that improve morale and they don't adversely affect discipline, I'm all for it." The memo applies to Regular Army, Army National Guard and Army Reserve Soldiers. 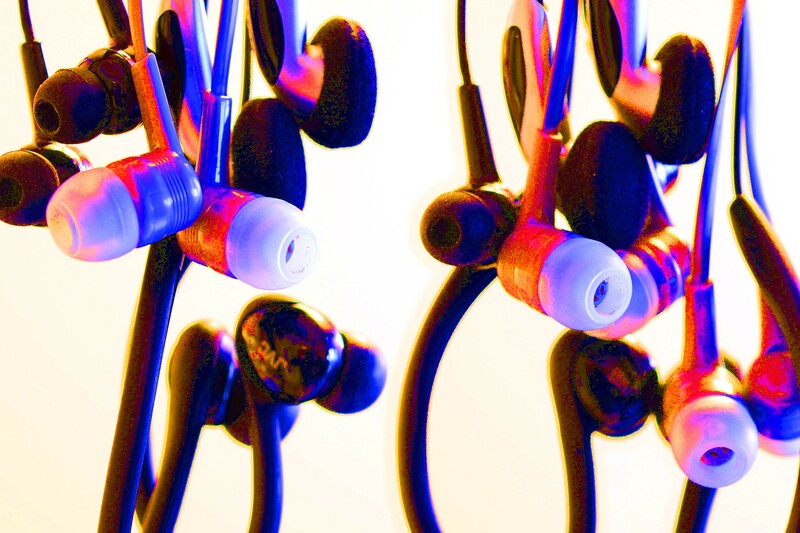 It's expected that the new rules regarding the wear of music devices and headphones in installation gyms will be incorporated into the existing uniform policy, AR 670-1, by the Army's G-1.